My husband has always has an obsession with "The Simpsons". 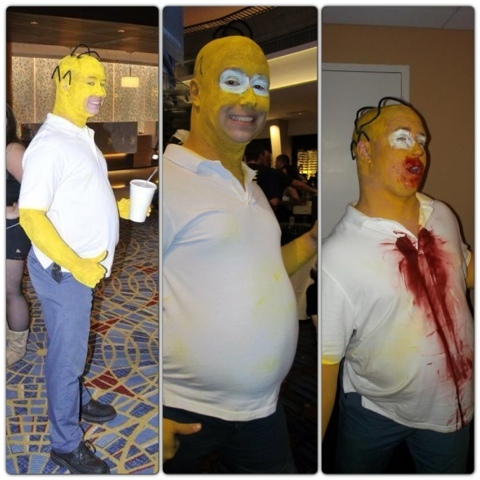 Although he doesn't watch any of the newer episodes (the show just isn't what it use to be), he went and saw the movie at midnight the day it came out in theaters and he has dressed as Homer for the past four years (this past year he decided to switch it up by going as Zombie Homer) at Dragon*Con. I don't know if you are familiar with this program, but the oldest child, Bart, always calls the dad, Homer, by his first name. In the episode, "Lisa's First Word", Homer tries to get Bart to call him Daddy but he seems to call him Homer out of defiance. And I think that something has kind of hit Hubby a little too close to home(r) and although at first he thought it was cute because it reminded him of The Simpsons, I think it has started to bother him, because I know it bothers me. SweetPea calls him by his first name. Just as Bart did with Homer. She has to be reminded to call him Daddy. We have always called each other mommy and daddy around her, so we can't figure out where it's coming from. The only thing I can think of is, my friend's little girl has learned to call him by his first name and I think SweetPea is picking up on this as well. I think the reason he feels bad is because he works such long hours. 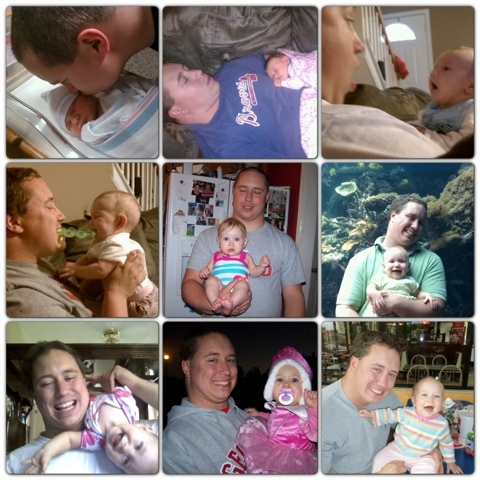 When SweetPea was a baby, it seemed every time he would hold her, she would cry. I feel guilty because she only calls me Diana when B is around. But "The Homer Phase" has leaked into an every day, most of the time occurrence. Did your little one ever go through a phase like this? Do you have any tips on how we could possibly handle it? We kindly correct her, now, but she continues to do it. Any suggestions? Haha this is awesome!!!! :) When I lived in Vegas they built a Simpsons house there, it was really cool! We always wanted to go! Oh man that is too funny! aww...congrats on her big milestone! 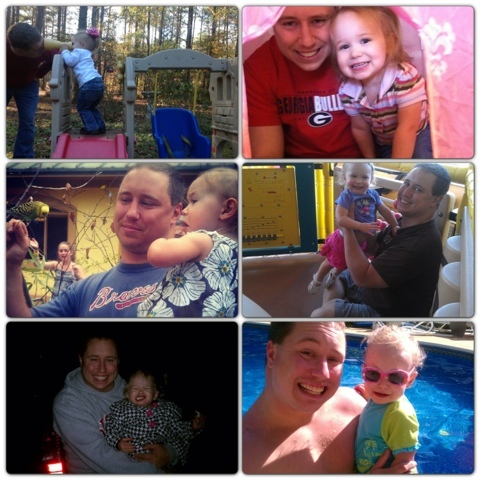 You all make a great family.